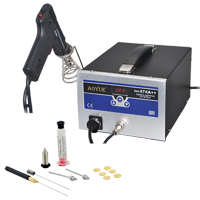 Desoldering Aoyue Int474A+ designed to facilitate the process of unsoldering wielowarstwowych.Urz±dzenie boards meet the standard ESD SAFE and RoHS. 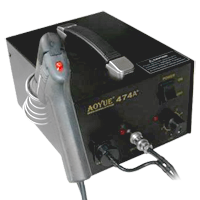 Desoldering station Aoyue Int474A ++ was designed to facilitate the desoldering process in multilayer boards. The device meets the requirements of the ESD SAFE standards and RoHS. 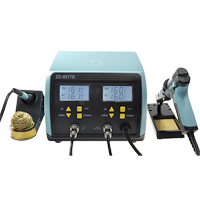 Desoldering station ZD-8915 90W exceptionally high quality PTC desoldering ZD-8915 ensures long trouble-free operation and a constant temperature control. 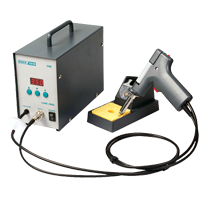 The device is suitable for brazing all the electronics and allows easy removal of the remains of the tin. The temperature sensor located at the cave allows fast, precise temperature stabilization tip. 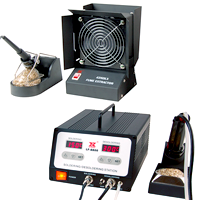 High power for quick heating of tin, so you do not overheat the wlutowywanych elements. 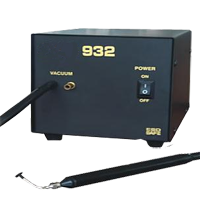 NET 932 Vacum station is built-in suction system that easily clings on desoldering system. It has three suction heads. Large size for 40g, medium size for 18g, small size for 3g. Perfect for handling major and minor elements, invaluable help with the work related to soldering and repair of electronic equipment. 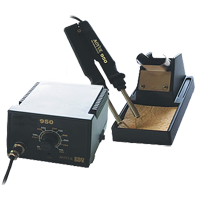 Quick 201B ESD Desoldering Tool ESD Safe by Design. Soldering Station NET 950 implementation of anti-static (ESD Safe). The station provides a convenient and safe assembly / disassembly of SMD components. 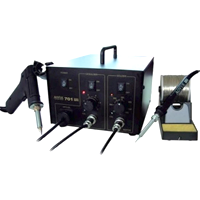 Soldering Station ZD-917 is made ​​from high quality components, characterized by a high precision operation. It can be used for soldering / soldered all types of integrated circuits from PCB without damaging them, and to a typical soldering electronic components. 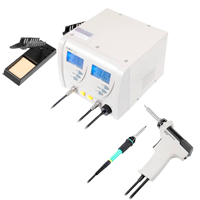 Xytronic LF-8800 Soldering and Desoldering Station operates with the high power 32V/100W output that is specially designed for lead-free soldering/desoldering works to meet RoHS requirement. This unit built in a self-contained, oil free, maintenance free, and quiet running vacuum pump which is electronically controlled and will not overload with continuous use, eliminating the need for additional shop air. 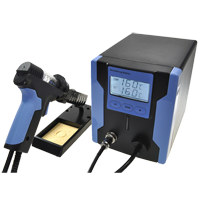 The vacuum pump provides up to 50cm/Hg (20in/Hg) suction power, activated by a push button switching circuit located on the desoldering wand. 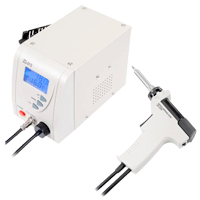 Internal solder collector in handpiece is quickly and easily removed for cleaning. The inside mesh aluminum cooling strip has better solder chip adherence. Also the ventilation slots makes for a cooler handle, improving operator comfort.